How bad has Jason Spezza been? Sung to the tune of Nickleback's "Photograph" - "Look at this Spezza hat / It's been signed by Antoine Vermette / I admit that doesn't make much sense / but then again I gotta pay the rent." To read the Ottawa papers, the Senators are tied through four games against the Rangers because a few pluggers have stepped up in the the absence of Daniel Alfredsson and the relative invisibility of Milan Michalek and Jason Spezza. It’s been the role players providing clutch scoring. To the naked eye there’s been an almost night-and-day change in the play of Jason Spezza. I’m not breaking any news when I say that Spezza had a great regular season. So great, in fact, that the consensus among Senators blogs seems both that he is only second to the emergence of Erik Karlsson as the reason for the team’s bounce-back year, and that he’s the team’s captain-in-waiting. Spezza stayed healthy, missing only two games all season long (only the second time he’s played at least 80 games in his career); he finished fourth in league scoring, putting up more than a point per game; he bettered his 82 game campaign by 11 points, and went from a -14 to a +11 when comparing the two seasons. But what made Spezza so effective during the regular season was his ability to drive puck possession. The same creativity that is now causing some of us to tear our hair out was, when employed with confidence, a central driver to the team’s offensive zone dominance. Spezza’s relative CORSI during the regular season was a +6.0, which is the best among centers on the team (not including Mike Hoffman’s one NHL game), and third best on the team behind Daniel Alfredsson and Erik Karlsson among players with more than 15 games played. (Interesting side note: in his 15 games, Rob Klinkhammer scored a better relative CORSI than Spezza. Food for thought?) Spezza is key to a Senators team that finished fourth best in the league in offensive production. In the playoffs, through an admittedly small sample size of four games, you would expect to see a reversal of these figures. His performance has been marked by his occasional, if optically horrible, tendency to use the no-look pass to teammates who can’t quite keep up or have no idea that it’s coming. His incessant giveaways would seem to diminish the team’s ability to attempt shots on net. But the figures imply otherwise. His 13.5 relative CORSI is the best on the team for centers, almost double that of Zach Smith. Kyle Turris, game four OT hero and new King of Clutch, is quite a bit worse, almost even at a -1.0. Spezza’s rating is good for third on the team, behind Chris Neil and Chris Phillips, among players who have played in all four playoff games. 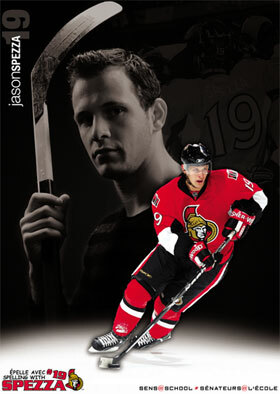 Spezza is probably still going to drive you crazy. Each terrible pass seems to wipe from memory all of the little things he’s doing right. But even when he’s overthinking and making open-ice passes to nobody in particular, he’s the underlying engine on this team’s puck possession and shots towards the net. Looking at the team’s mostly even CORSI, you could maybe make the argument that MacLean should depend on a few of his pluggers to put less pressure on his top center. But then the team’s even CORSI might be precisely because MacLean isn’t playing his pluggers quite so much. If Spezza settles down a bit and starts making smarter plays—starting, I would suggest, by using that nasty shot of his more—he could turn into a force in this series. Having just played in what was his 50th playoff game, you’ve got to think that if he isn’t settled now, he’ll never be. But even if we haven’t seen Spezza’s best yet, he’s been fundamental to the team’s success so far. Oh, by the way: the only player with consistently better CORSI? Daniel Alfredsson. Get well soon, captain. Corsi Shmorsi. He’s not playing at an elite, warrior-like level and he had a pouty-face on the bench at one point. For 7 million (yeah, I know no one gets paid in the playoffs) he needs to be a huge difference maker game in and game out…and he hasn’t been Time for him to step up and lead this team to something grandiose (not Moxie’s post-game…) because if this guy IS going to be the next captain of this team, elevation is necessary. I like how we just dismiss arguments we don’t agree with. SCREW IMPARTIAL NUMBERS, HE’S NOT A WARRIOR! That’s like telling the judge the speed limit doesn’t apply to you because you have super fast reflexes.